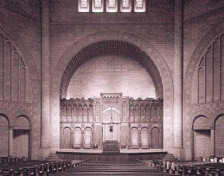 Rabbi Abba Hillel Silver came to The Temple in 1917, age 24, only two years after his ordination. Seven years later The Temple left East 55th Street for a new home in University Circle. Membership, only 450 families in 1917, was now 2,000 families. 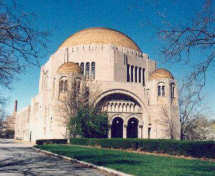 Clevelanders called it "Silver's Temple", in recognition their rabbi's reputation. Although Rabbi Silver soon reintroduced the teaching of Hebrew in the religious school and would read from the Torah weekly, the prayer books had few prayers in Hebrew. Singing was largely by a professional choir, often with organ accompaniment. Men would pray with heads uncovered and never wore a tallit (prayer shawl). 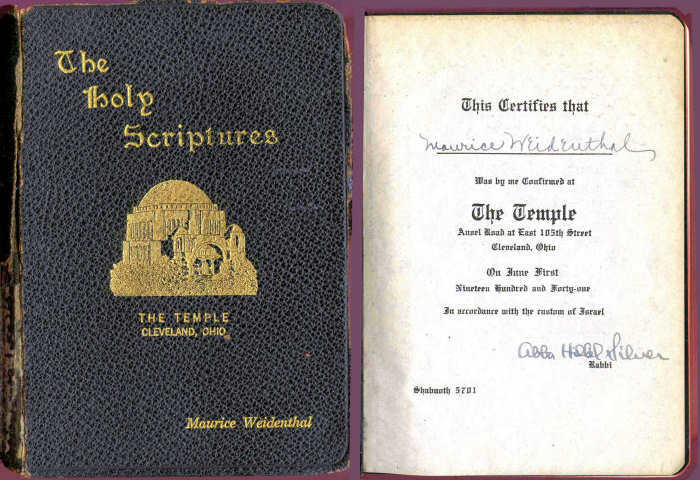 When Maurice "Bud" Weidenthal and his twin sister Margaret were confirmed in 1941, Bar and Bat Mitzvah were not celebrated in The Temple. Melbourne Harris. shown below left of Rabbi Silver, was one of many who would serve as Assistant or Associate Rabbi over the years. Then 38 years old, he would soon leave to serve as a chaplain in World War II. He then entered the family business in Toledo. Rabbi Harris died in 2004, 100 years old, the Hebrew Union College's oldest alumnus. Abba Hillel Silver died in November 1963, having served The Temple for 46 years. 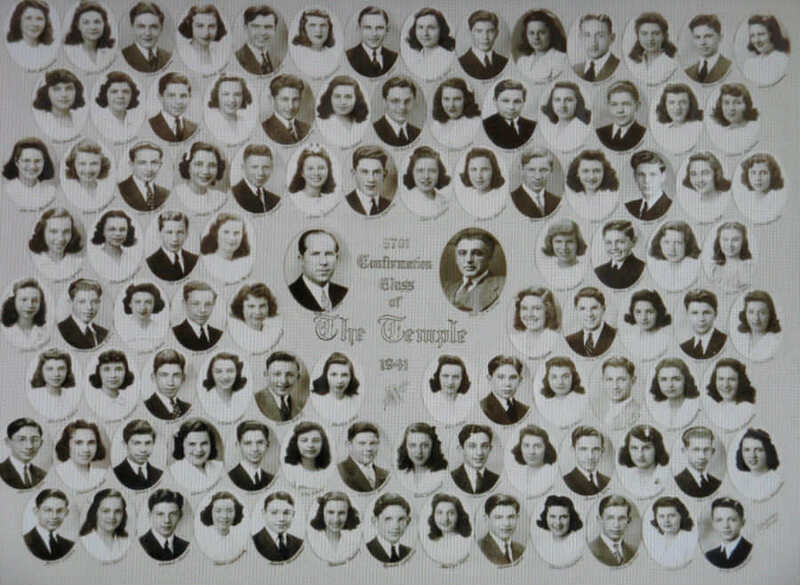 The Temple 1941 Confirmation class of 98 confirmands. Bud Weidenthal is in the bottom row, fifth from the left. His twin sister Margaret (Sis) is in the fifth row down, fifth from the left. The Holy Scriptures received at the 1941 Confirmation ceremony. To continue to the next generation, click here.